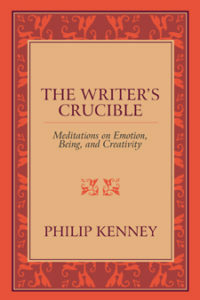 The Writer’s Crucible by author and psychotherapist, Philip Kenney was named as a finalist for non-fiction book of the year by the Red City Review out of Brooklyn, New York. The Writer’s Crucible provides a detailed map for navigating the turbulent emotional waters of a creative life. Writers will come to understand the psychology of vulnerability, perhaps the most common of which is a persistent sense of not being good enough.